Successful equestrian competitors have full emotional control while competing, no matter the circumstances or challenges presented to them. 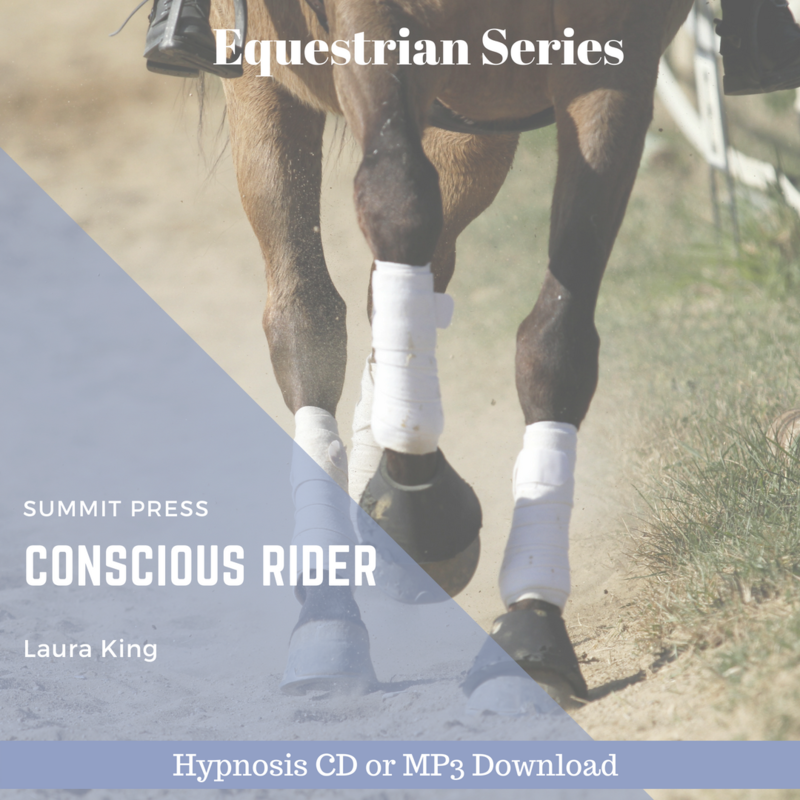 Listen to Laura’s latest Conscious Equestrian Rider self-hypnosis and increase your confidence as an equestrian rider! Laura created the Conscious Equestrian Rider self-hypnosis to enable you to increase your trust in your equestrian riding ability and reinforce your belief in your natural born talent to ride and compete. Successful equestrian competitors have full emotional control while competing, no matter the circumstances or challenges presented to them. You will learn be able to remain focused, calm, and confident at all times. Laura will guide you while you listen to Conscious Equestrian Rider to visualize yourself successfully competing and winning; your confidence will grow with every competition. Just image that soon you will have the ability to filter out all negatives around you. Start today with our easy to download MP3 of Laura’s Conscious Equestrian Rider.